This is one of the SADDEST stories ever told in Hollywood. His name is Sylvestar Stallone. One of the BIGGEST and Most famous American Movie superstars. 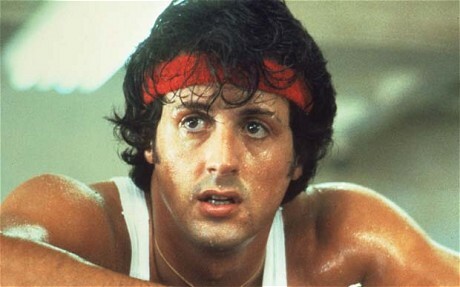 Stallone was a struggling actor in every definition. At some point, he got so broke that he stole his wife's jewellery and sold it. Things got so bad that he even ended up homeless. Yes, he slept at the New York bus station for 3 days. Unable to pay rent or afford food. His lowest point came when he tried to sell his dog at the liquor store to any stranger. He didn't have money to feed the dog anymore. He sold it at $25 only. He says he walked away crying. Two weeks later,he saw a boxing match between Mohammed Ali and Chuck Wepner and that match gave him the inspiration to write the script for the famous movie,ROCKY. He wrote the script for 20 hours! He tried to sell it and got an offer for $125,000 for the script. But he had just ONE REQUEST. He wanted to STAR in the movie. He wanted to be the MAIN ACTOR. Rocky himself. But the studio said NO. They wanted a REAL STAR. man refused. He offered him $500. And the guy refused. Yes,he refused even $1000. And, Believe it or Not, Stallone had to pay $15,000 for the same,same dog he sold at $25 only! NOBODY. People will want your products but NOT YOU. Its a tough world. If you ain't already famous, or rich or "connected", You will find it rough. Whatever happens to You, Keep Dreaming. Even when they crush your hopes, Keep Dreaming. Even when they turn you away, Keep Dreaming. Even when they shut you down, Keep Dreaming.